Musical Performances . . . Here are some YouTube videos of my musical performances at different venues around town. You can also hear more of my original music and see other videos on my CBC Radio 3 artist page by clicking here. 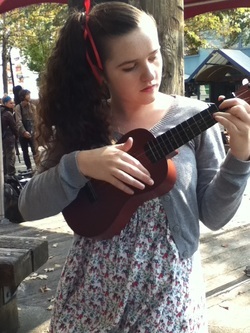 Singing "I Dreamt That I Dwelt In Marble Halls", an aria from the 1843 opera "The Bohemian Girl"
Singing "Faust" from the excellent movie "The Phantom of the Paradise"
Busking at Granville Island on ukulele, while singing "Mr Sandman"